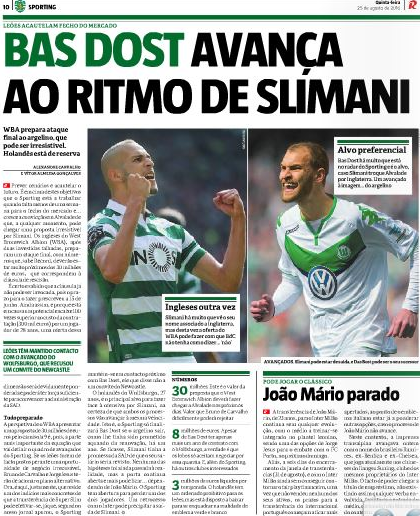 “WBA give €30m for Slimani” was a pretty exciting front page headline to read first thing in the morning, we must say. The Baggies have reportedly tried to sign the Sporting striker twice, with both approaches being rejected, and as €30m is what the papers say the Portuguese club want to sell him, Record’s cover seemed really optimistic. But their story isn’t jumping the gun like that. 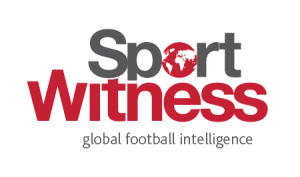 They claim that West Brom are “preparing a final attack” and should be very close to the €30m, which is Slimani’s release clause. This clause can’t be activated anymore, since it expired in June, but this is the figure that Sporting have set to sell him, since it would mean a hundred times more than what they paid to sign the Algerian from Belouizdad in 2013. This is the only offer that would make Sporting think of selling, after so many bids which were reportedly rejected in the past few months. The club would be even considering to sign a replacement for the striker already, who would be Bas Dost from Wolfsburg. From the five Portuguese papers we’ve checked today, Record are the only one with this information. They have a history of being a bit optimistic about Sporting, so we better wait and see if WBA will “give €30m” or just “be very close” to it.